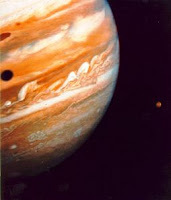 Jupiter will leave Aquarius sign on May 2nd, 2010 and enter into Pisces. It will stay in Pisces till May 8th 2011. It will become retrograde in the month of July 2010 and again enter into previous sign Aquarius in November 2010. 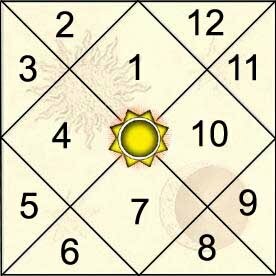 It will then become direct and enter in to Pisces again in mid December 2010 and carry on its journey till 8th May 2010. Part 5 of the learn astrology series by me is now available on AstroCAMP.com. Please check it out and share your opinion. I hope you will find it useful. What is Adhik Masa or Extra Month of Hindu Calendar? When is it in 2010? "Adhik Masa" is a word of Sanskrit origin which literally means Extra month. Adhik Masa is also known as Purushottam Masa, Mal Masa, and Malimmacha etc. Adhik Masa has started today i.e. April 15, 2010 and will end on May 14, 2010 as per English calendar. Because the extra month this year is Vaishakh as per Hindu Calendar, this extra month is known as Adhik Vaishakh Masa or Adhik Vaishak Mahina. So in current year there will be thirteen months in Hindu calendar. Apart from the normal 12 months, there is an additional month i.e. Adhik Vaishakh Masa. “Generally all efforts with the intention of worldly gains are strictly prohibited during Adhika masa as mentioned in scripture and one is advised to follow special rituals for this month. During this period, marriages, tonsures (mundan), inaugurations of new home, fasting with desire of some worldy gains, buying new ornaments and vehicles are prohibited. The detailed article can be found on AstroCAMP.com here - "Adhik Maas 2010: Rituals & Significance." According to news sources, Hollywood legendary actress Elizabeth Taylor is to marry for the ninth time at the ripe old age of 78. Taylor has been married eight times earlier. Her last marriage ended after five years in 1996. I wanted to discuss this chart because it is unique in its respect. Nine marriages are not common at all and hence it gives us a very good case study for multiple marriages. In Indian astrology, there are several yogas given for multiple marriages and I am not going to talk about it. There are so many classical texts and so many shlokas in Indian astrology that confuses astrology students. I want to give some very common rules which I always found correct. Rule 2. 7th lord should be in dual sign. Gemini, Virgo, Sagittarius and Pisces are the dual signs. Rule 3. There should be malefic influence, primarily of Mars and Saturn, on 7th house and 7th house lord. 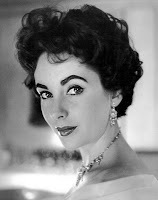 Under the light of these rules, now let us check the birth chart of Elizabeth Taylor. Birth details are taken from AstroDataBank and this chart is having A ratings. If the passes our rules we can safely say that the birth particulars are correct. Rule 1. Taurus is falling in 7th house. Venus is lord of Taurus and hence it is 7th house lord. Venus is exalted in Pisces, so the rule 1 is fulfilled. As we know from the above rule, 7th lord must be very strong sign-wise to give multiple marriage. Rule 2. Venus is in Pisces, a dual sign, so the rule 2 is also satisfied. As we know dual signs give multiple marriages. Rule 3. 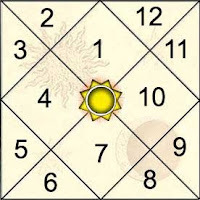 7th lord Venus is aspected by natual malefic Saturn and with another natual malefic Rahu. 7th house is aspected by Mars. So the rule 3 is also satisfied. Malefic influence is there both on 7th house and 7th house lord. So we can safely say that the birth details are absolutely correct as far as rasi chart is concerned. You can see that Elizabeth Taylor's birth chart is an excellent chart for multiple marriage case study. Will she really marry ninth time? What are the combinations in her chart that make her legendary actress? What else do you see in chart? If you are an astrology student, please share your thoughts in terms of comments. It is quite some time I have written a blog post. 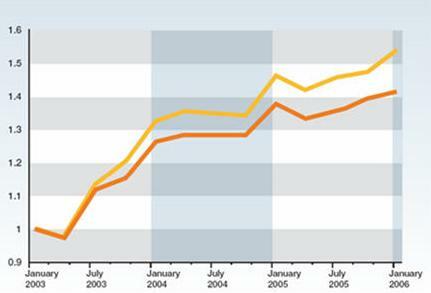 The reason for this gap was that I was making a lot of changes to my websites and web infrastructure. During this period I have done a lot of work on astrology and I will be announcing it in coming time. The announcement I want to make today, though, is the new look and the new address of the blog. You might have already noticed that the blog has been moved to a new address - http://www.ItzHoroscope.com. Previously my blog address was quite long (http://www.AstroCAMP.com/vedicastrology/) and I hope that this blog address will be easy to remember and quick to reach. If you have not bookmarked it, please do the same. I hope that the new address and the new look will give me enough motivation to write regularly. I have lot quite a few topics pending in my todo list and hope I'll write on all of them soon. Also would appreciate your feedback on the new layout of the blog. Will look forward to your suggestions. 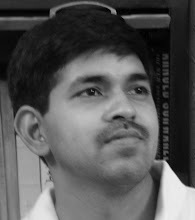 Check out http://www.ItzHoroscope.com now.